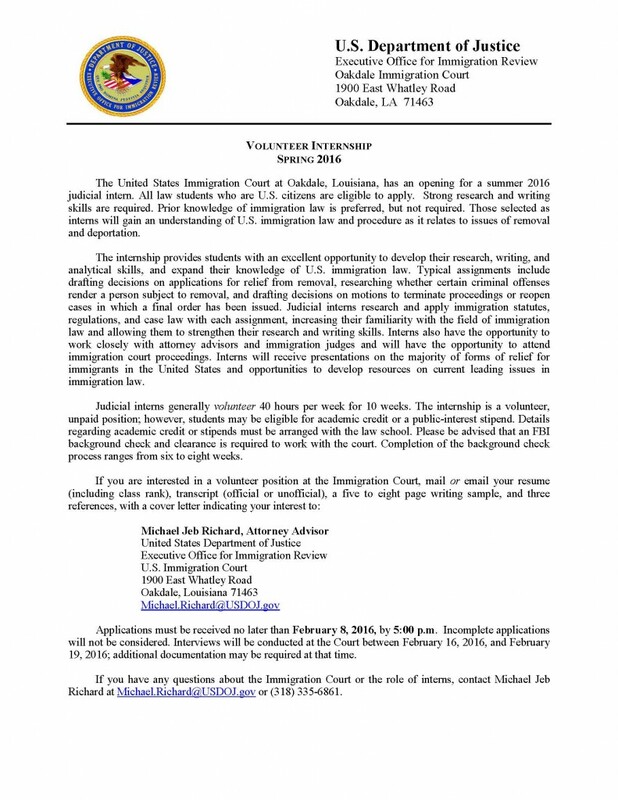 The United States Immigration Court at Oakdale, Louisiana, has an opening for a summer 2016 judicial intern. All law students who are U.S. citizens are eligible to apply. Strong research and writing skills are required. Prior knowledge of immigration law is preferred, but not required. Those selected as interns will gain an understanding of U.S. immigration law and procedure as it relates to issues of removal and deportation.